Lets take a look at what is in meat from the good to the bad. Meat can have many things in it depending on what kind of meat and how it is raised and processed. I am going to give a quick highlight here without going into the deep depths of the research and if you want to see the details of the research I will show you were you can find that. I am going to focus on the three main meat sources here like beef, chicken, and pork. Can you tell what is in meat by looking at it? Not all meat is created equal. The first thing to understand is that there is a huge difference in what is in meat based on how it was grown. In fact if you take conventionally grown meat compared to natural grass fed/pastured animals they are entirely two different things. I also want to state that just because a label on meat says “organic” doesn’t meat it is the same as grass fed or pastured meat and in many times it has some of the same issues as the conventionally raised meat. Since there is such a huge difference in meats by the way they are raised I am going to discuss what is in meat based on how they are grown and not so much by the species of the animal it comes from. What is in commercially raised meat? This is such a hard topic to discuss since there are so many negatives in conventionally grown meat and it would be great if someday things will change and I can erase this part and one day pastured based meat will become the conventional norm. You never know things are changing rapidly! Fat Factory farm meat is going to contain more of the fats that develop in the muscle (marbling) rather than the fat that develops around the muscle. I prefer to have meat with the fat on the outside that can be either trimmed off or left on for flavoring. Antibiotics This is most relevant to chickens since the industrialized chicken houses are so crowded and unsanitary that the growers have to feed antibiotics to keep the birds alive. About 70 to 80 percent of antibiotics produced go into livestock feed and now we are seeing an increase in antibiotic resistant diseases. Hormones Pharmaceutical company’s say there is no harm from giving animals growth boosting hormones however there is an increasing amount of research showing that the hormones remain in the meat and are causing health problems in consumers. Chemicals the pesticides and herbicides used to grow the feed for the animals are found in the final meat product and it is causing a lot of health problems in people. The biggest culprit is glyphosate that is commonly used in a herbicide called Roundup. However the government is approving more toxic chemicals on a regular basis since plants have been found to develop immunity from previously used chemicals. chlorine When meat is commercially processed it goes through a chlorine bath to sanitize it because of the poor handling methods and because the meat carries a foul ammonia odor from the poor living conditions it endured during it’s life. Dyes Meat is often treated with dyes to enhance the color to make it more appealing in the package. You may have also heard in the news recently how commercial processors use a red glue like substance to give the meat shape and color. Bright red beef meat doesn’t mean quality. Meat doesn’t turn bright red until it is exposed to light and air. This is called blooming and stores use this to make their meat look more pleasing to the eye. GMO Genetically modified organisms are foods that have had there genetic code manipulated to do something it wasn’t designed to do. This is a huge subject and I wont go into the details here but I encourage you to learn as much as you can about what a GMO is and what problems it is causing. Many think that GMO’s only affect grain and fruit products but it has a huge impact on meat since most grocery store meats are raised on GMO grain and the effects of this show up in the meat. This is not a complete list of ingredients in factory farmed meat by any means but it covers some of the biggest dangers and I may add more latter if I see a need too. With so many drawbacks to conventional grocery store meat fare I am glad there is an alternative. This is the part I enjoy writing and talking about so lets take a look at what is in natural grass fed animals raised on quality food they were meant to eat. 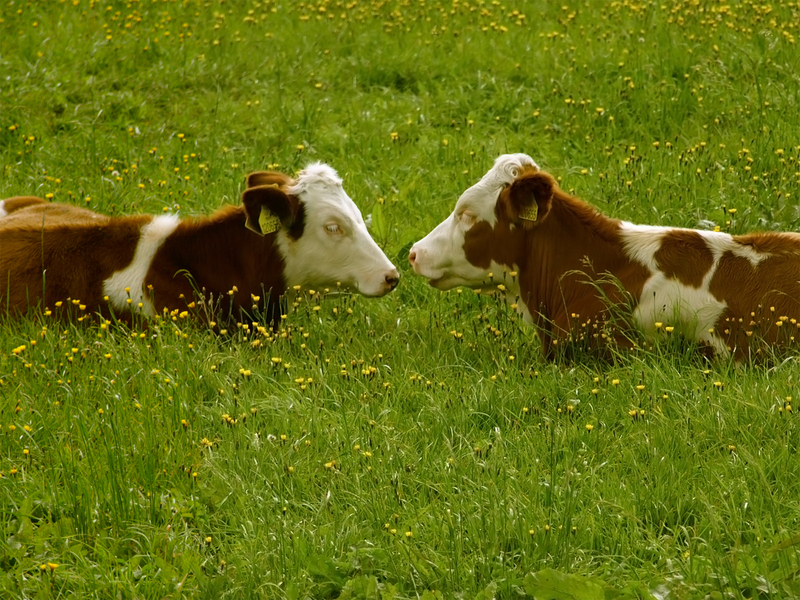 This next section describes the meat of animals that are raised on high quality feeds such as managed pastures where the animals are moved routinely to fresh new grass such as with beef. Pork and chicken are grown on managed pasture as well and also supplemented with quality nonGMO grains. Nutrition Grass fed or pastured animals have many times more nutritional value such as conjugated linoleic acid (CLA), vitamin E, beta-carotene, and omega-3 fats. They are also rich in calcium, magnesium, and potassium. This list could go on but I think you get the idea. Fat Yes, naturally raised meat still has fat in it but not as much and it is a much healthier fat that is more digestable. The fat is more outside the muscle rather than in it so the meat is leaner and has a better texture. Sunshine How do you get sunshine in meat? It comes by way of the grass and the exposure. Animals that get regular amounts of sun and eat fresh green grass gain many health enhancing benefits and don’t have the issues with diseases and parasites because the sun is a natural detox and antiseptic. It is lush green grass that converts the suns energy into food for the cows and I am not a big fan of eating grass but I do enjoy eating meat that gets its nutrients from the grass. Taste You can taste nutrition and quality. If something does not taste good there probably is a reason and it is our God given sense of taste that should warn us of inferior food. If you want to get into more details about what is in meat either conventional or natural you can checkout places like Dr. Mercola and Weston A. Price Foundation. 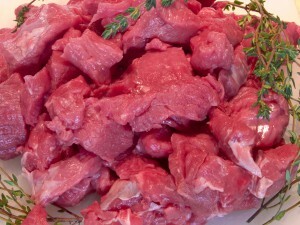 If you are looking for naturally raised meat you can see more about how to find it at our store. Glad to see so many people thinking about what goes into their food and I enjoy discussing this topic so leave any questions or comments below. You have picked the name of your theme right. It is nice and clean. These days it is very important to know where our meat or chicken comes from. Thanks Nancy! We enjoy raising high quality food that is nutritious, safe, and enjoyable to eat. Nice article! I like the information you provide. There is definitely some mystery involved in what is actually in meat. It is very helpful to have all this information in one place. I think you are definitely going to have success if you can keep writing articles like this. Nutrition is something that affects everybody, so you are able to relate to a wide audience. Thanks Lucas! There is so much information on the different aspects of our food supply and I hope I can keep adding relevant info on the meat topic as I learn and experience new things. This is a rather intriguing post about the ingredients and components of meat, and how not all meats are the same and the quality and goodness can depend on so many different factors. 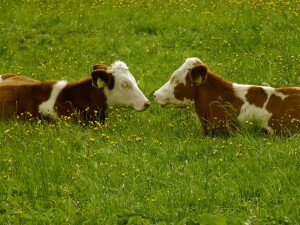 I love meat, but I also want to know that it is good for me and not harming me. Your post has certainly clarified a few things and given me lots to think about. Thanks for stopping by and sharing your comment. It can be easy to not pay any attention to how meat is grown and processed. We are so far removed from where our food comes from and when we take a good look at where our food comes from we can see that it isn’t safe and we need to choose meats that are grown and processed in the proper way.